The art of storing and handling cheese. 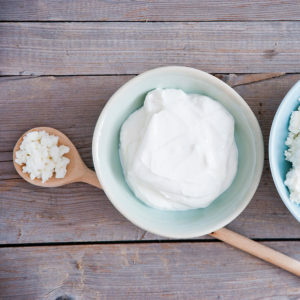 Just like any other food product, cheese needs to be stored and handled in a specialized manner in order to maximize shelf life while maintaining and enhancing flavor. Cheese is a natural, living product and will continue to develop its flavor if it is handled properly. Natural cheeses require refrigeration. After purchasing cheese, refrigerate as soon as possible. 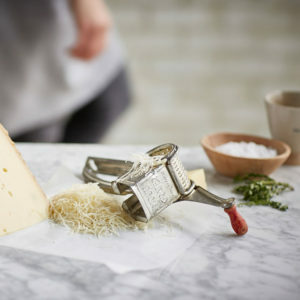 Always use separate knives and cutting boards to cut different types of cheeses in order to avoid cross-contamination. Or, thoroughly clean knives and boards in between cutting. Always rewrap cheese that has been handled with new, clean wrapping. In most cases, cheese is ideally served at room temperature. This helps it develop its flavor, similar to how the flavors and aromas of a fine wine develop with decanting. Allow 30 minutes to one hour out of refrigeration before serving. 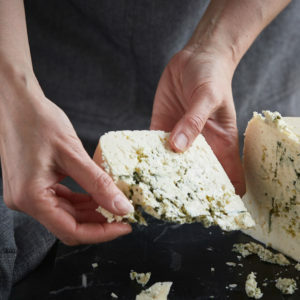 It is best to bring only the amount of cheese you intend to serve to room temperature, as warming and cooling can affect shelf life and flavor. 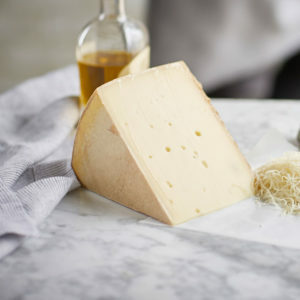 If stored under refrigeration, wrap cheese in waxed or parchment paper. Store in a plastic container pierced with a few holes to allow air circulation. 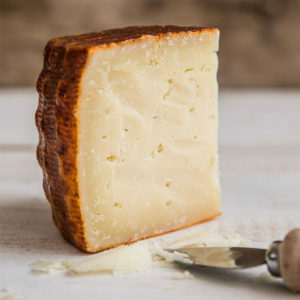 Place a clean, slightly damp towel (such as a paper towel) in the bottom of the container to elevate the humidity if the cheese appears to be drying out. If storing at room temperature (which should never exceed 70 degrees F), keep the cheese on a plate or wire rack so air can circulate below it, and cover it with a glass or plastic dome. Cheese will only last a few days under this storage condition, but it will always be at room temperature and ready to serve. If you find mold, use a clean knife to trim mold. Moldy areas should be cut ¼ to ½ inch from the rest of the cheese and discarded. Wrap the cheese tightly in plastic to inhibit moisture loss. Plastic wrap may impart a slight flavor to cheese. If this occurs, you may scrape the surface area to remove any unwanted plastic flavor before serving. When rewrapping use new, clean plastic wrap. The more surface area that is exposed to air, the more likely a cheese will dry out or develop mold. Plan to use shredded cheese within a few days, rewrap and reseal tightly after use. Cover the cheese tightly in a plastic container after serving to avoid flavor absorption from other foods. 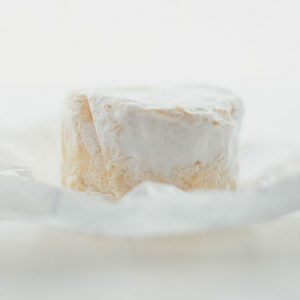 For chèvre, wrap the cheese in parchment paper or foil and store in a tightly sealed plastic container. If you find mold, discard the entire product. Make sure cut surfaces are protected from drying out by applying a piece of parchment paper to the exposed area before storing. Or, store the cheese unwrapped in a sealed plastic container pierced with a few holes to allow air circulation. Place a clean, slightly damp towel (such as a paper towel) in the bottom of the container to elevate humidity. If storing more than one cheese per plastic container, make sure that the cheeses are well separated. Wrap the cheese in aluminum foil, preferably the original foil that you received the cheese in. If you find mold, that’s usually a good thing. Blue molds outcompete other unfavorable molds. If the mold appears black and slimy, discard the product.